Hellbenders have remained relatively unchanged since the age of the dinosaurs. 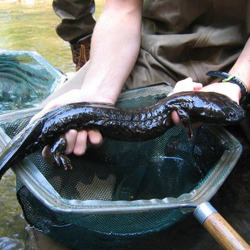 They are native to North America and are split into two subspecies, the eastern hellbender (Cryptobranchus alleganiensis alleganiensis), and the Ozark hellbender (C. a. bishopi). The hellbender is one of the largest amphibians in the world, growing to up to 16 inches long and weighing up to 5.5 pounds. 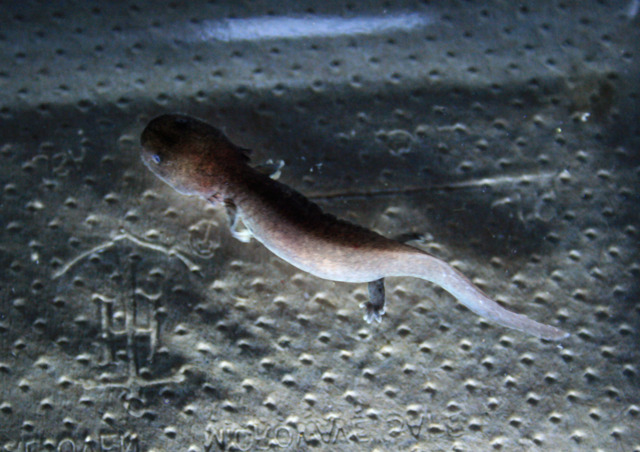 As aquatic salamanders, hellbenders rarely leave the water. They have lungs, but breathe entirely through the thousands of capillaries found in the folds of their skin. Because they breathe through their skin, hellbenders are extremely sensitive to climate change and pollution. Once widely distributed in the Ozark Mountains and Appalachian Mountains, hellbenders are now considered threatened and even endangered in some states. Over the last 30 years, most hellbender populations have been in rapid decline due to channeling, damming, increased pollution, and over collection, but Tennessee and a few other southeastern states still harbor these amazing amphibians. 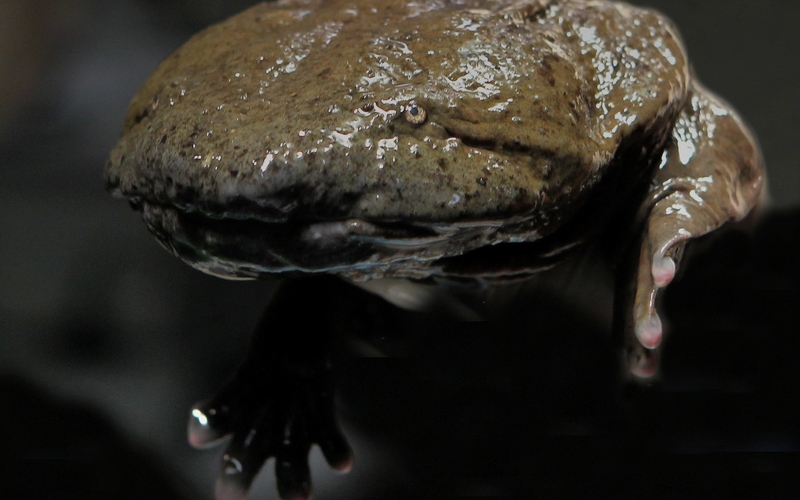 Nashville Zoo has been actively involved in hellbender conservation since 2003, and several hellbenders can be seen on exhibit in the Zoo’s Unseen New World. Ectotherm Curator, Dale McGinnity, oversees the Zoo’s amphibian conservation efforts, which include hellbender breeding and field research. 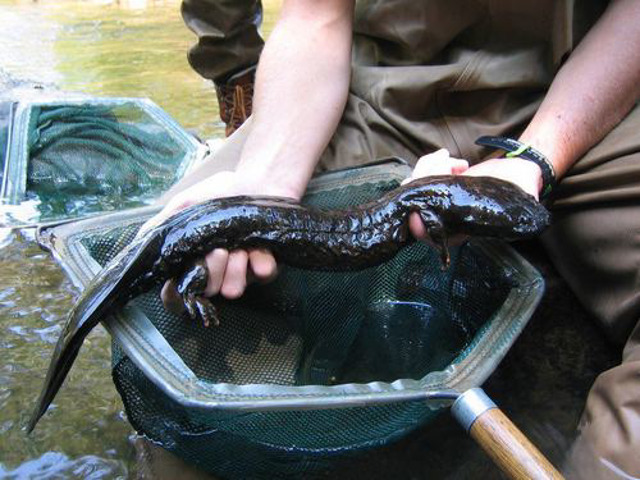 Until recently, not much was known about hellbender populations. Because of the lack of data, simply documenting where healthy hellbender populations exist in the wild is extremely important to forming a conservation plan for these creatures. In an effort to provide this much-needed research, McGinnity and MTSU biology professor Dr. Brian Miller applied for funding to document the hellbender populations in Tennessee and began their field work in 2003. In 2012, Nashville Zoo announced the first successful captive breeding of Eastern hellbenders, as well as the first controlled breeding of any hellbenders using biotechnology. 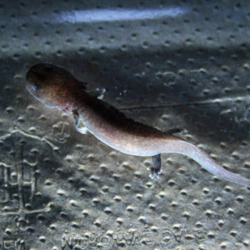 The two hellbenders were successfully hatched from eggs produced and artificially fertilized from a group of four hellbenders (one female and three males) living in an off-exhibit facility at the Zoo.